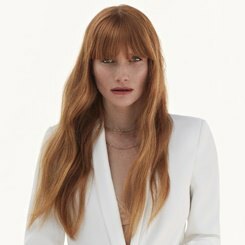 “Julia always knows what suits her and the warm golden tones of her colour not only make her conditioned hair shine, giving it a youthful glow, but the shade really suits her skin tone making her whole appearance more vibrant and fresh than ever. 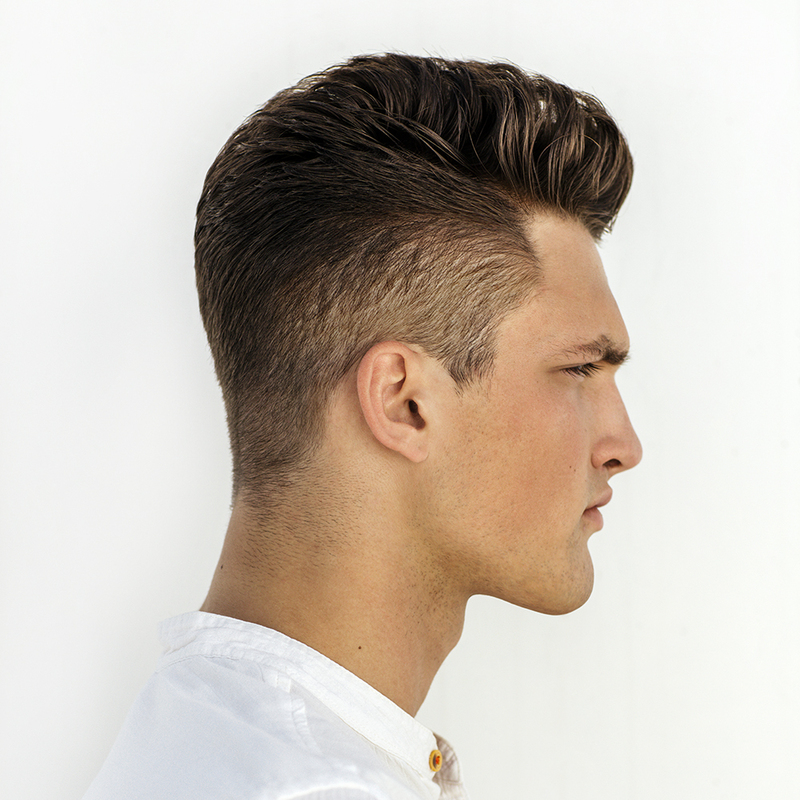 To recreate this look ask your Regis stylist about adding “shadow slices” to your hair. This is where we add soft tones to your all over colour to give you a soft-shadow effect around the outline of your hair and multi tones within it. It’s a great way to add definition, shine and thickness to your style. Great conditioning is a must with any colour and my must-have care products to use at home would be Designline Enchanted shampoo and conditioner which is great for colour and also contains crushed canary diamonds which absorb heat to protect the hair from heat damage whilst gently exfoliating to add shine and awaken the scalp. These products really make your hair shine and feel luxurious, fresh and new. There are a few ways you could recreate the finish on Julia’s style. If you’re going for body blow-dry your hair after applying Designline Volume foam and get as much lift as you can before setting your hair in heated rollers. 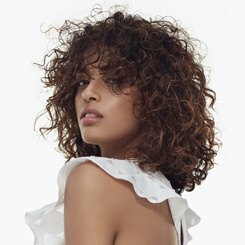 Alternatively, you could add a loose curl using your straighteners or curling-wand but be sure to add a heat defense and setting spray to your hair beforehand. My personal favourite is Designline Hot Stop Style Primer. 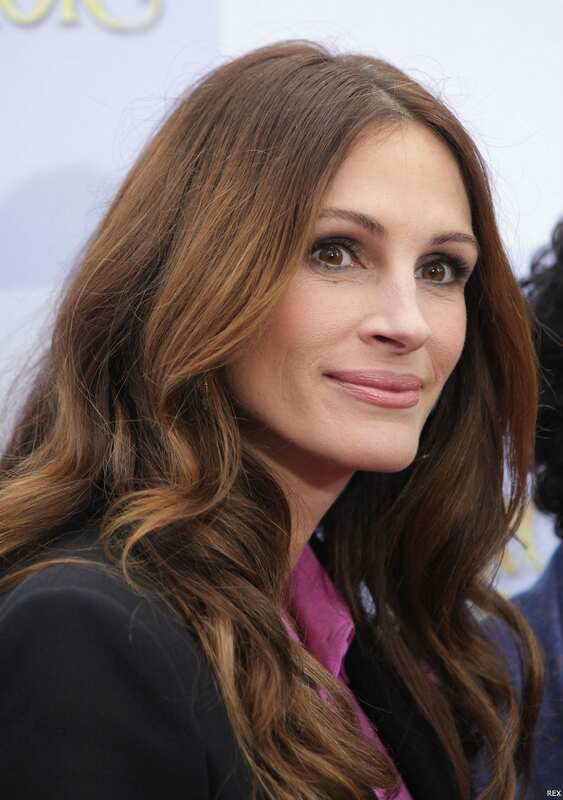 To recreate this look, book in a consultation with your nearest Regis salon now. Find yours here.